You may think that just braces or Invisalign alone can help with achieving your best smile, but that’s not the case. Yes, the brackets and wires or clear aligners and attachments do help with straightening your teeth but how about your bite? 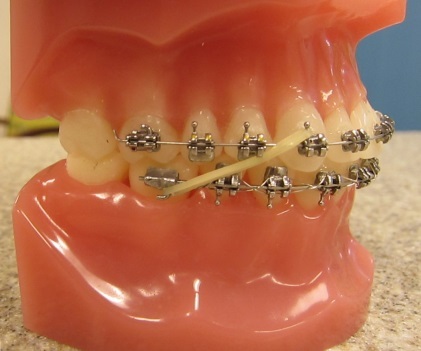 Elastics are just one of the most common ways to help achieve the proper bite, because let’s face it what’s the point of straight teeth if your bite feels off? At your initial consult with Dr. Sharon Durrett she will let you know if elastics are necessary during your treatment with braces or Invisalign. 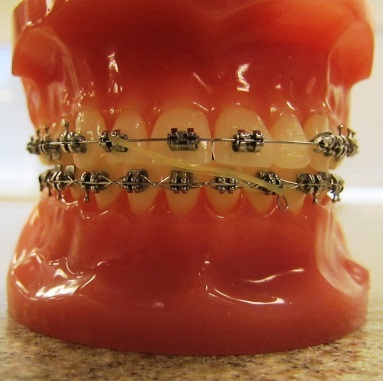 Elastics are typically worn anywhere between 4-6 months. 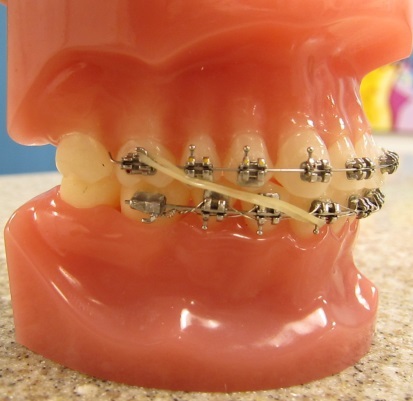 However, if a patient is not compliant with elastic wear it can double the time the elastics have to be worn for, which also means increasing treatment time. Midline Elastics: These are usually placed on the front teeth on the opposite ends to help with centering the midlines of the upper and lower front teeth. If you want to make sure your braces come off in a timely matter, make sure you follow Dr. Durrett’s instructions and recommendations, because we are also rooting for you!